I am part of a 30 Day Challenge today, coming up with easy pasta dishes for you all to enjoy!! Please scroll down to see all of the pastas we have for you. 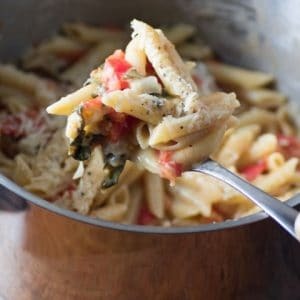 I decided to make One-Pot Easy Caprese Pasta. Have you tried any of the one-pot pasta dishes where you boil everything including the pasta in one pot? Huge time saver and they come out amazing. I have done quite a few now like this. During the week not only are we busy but tired, so a quick and easy pasta dinner is a welcomed recipe. Also in this household, we love to have vegetarian probably “twice a week”. It used to be once a week but that has now increased to at least two times with Amber becoming a vegetarian. I welcome it as it is an easy way to cook, one less thing to worry about really with no meat. Simple ingredients are added to a large pot and cooked together. Giving it an occasional stir keeps the cheese from sticking to the bottom. Nothing could be easier than this one pot pasta meal. Another little take on this would be to boil and drain the pasta and then add the bocconcini, basil, tomatoes, S&P and Parmesan. A quick drizzle of olive oil and some balsamic would finish the fresh pasta off. We loved how the cheese melted and created a creamy sauce when all cooked together though. Hot, fresh and fast is this pasta! 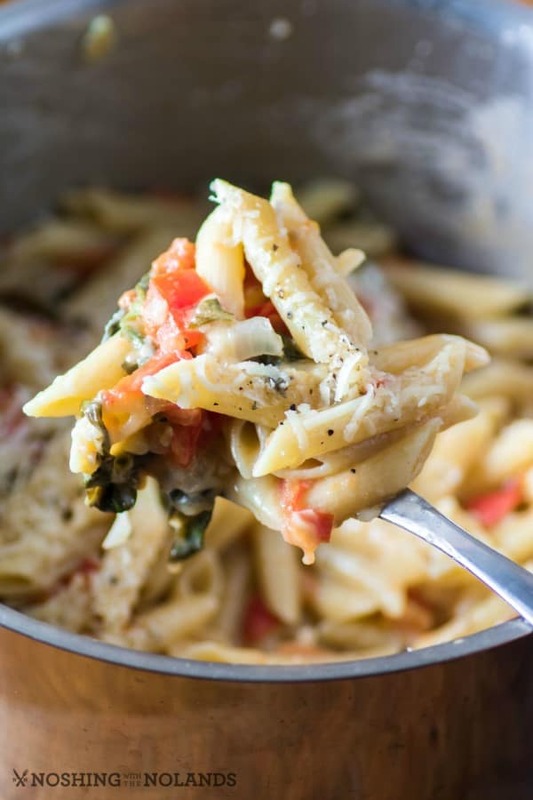 One-Pot Easy Caprese Pasta will have you making this again and again for a quick weeknight meal. 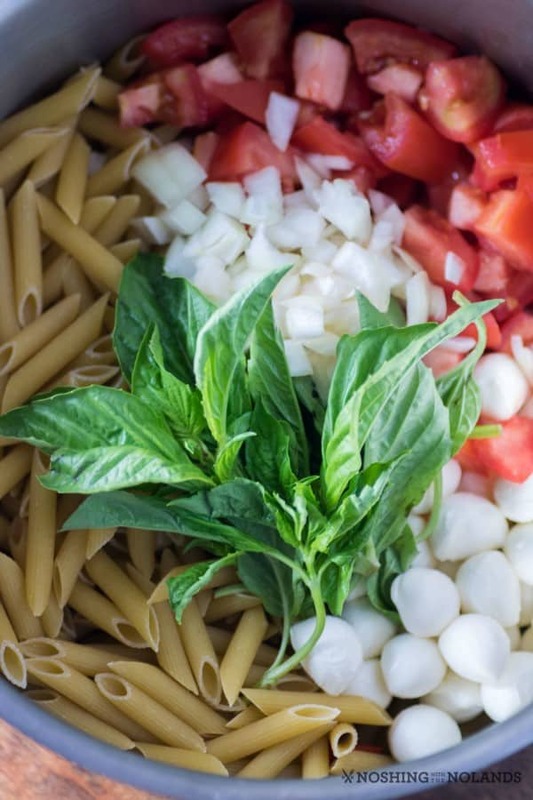 In a large pot add the penne, tomatoes, bocconcini, onion, garlic, basil and salt and pepper. Pour in 3 cups of water. Bring to a boil, covered and then reduce heat to a simmer and uncover. Stir occasionally to keep the cheese from burning to the bottom. Cook for about 20 min. or until pasta is al dente. A small amount of water/sauce will remain. Serve with more salt and pepper to taste and freshly grated Parmesan cheese. Check out all the other delicious EASY PASTA DINNERS recipes below from bloggers who took part in our 30 Day Pasta Challenge. Pressure Cooker Lasagna Soup from Who Needs A Cape? This looks so good! My mouth is watering! What a delicious sounding recipe. This’ll be great when the tomatoes are full and ripe in the summer, of course, it’ll be great right now too! Maybe for dinner tonight! I love caprese anything! I am drooling over here just looking at the pictures! I might make this for dinner tonight it looks that good. Tara! I’m in love with this meal! Seriously perfect! This is making me so hungry and I love how easy it is. I love dishes that are simple and this is perfect! Plus I love pasta, so yum! Mmmm I love anything caprese. My mouth is watering over this one! Drooling here. This sounds so delicious and so easy. Adding this to my menu plans. Wow, this looks so darn good! I’m glad it’s easy! I don’t think I’ve made one of these for my family yet. 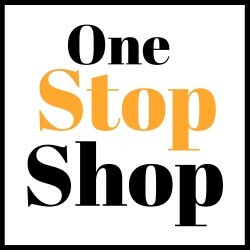 I am always looking for new dinner recipes to try! This one has been added to my list! I love caprese salad, this would be do delish for an easy dinner. Thanks for the great recipe! Yum, I am pinning this to add it to our meal rotation. Looks delicious! Yum! That looks so amazing. And so simple to make! Thanks for the recipe! This looks like an amazing dinner! We enjoy pasta for dinner especially if it’s as easy as this! Definitely giving this a try! I simply adore one pot meals and this one has all of my favorite flavors! Looks delicious! Sooo hungry now after seeing this recipe! I’m a big fan of easy to make recipes like this. It sure looks delicious. My girls will love this dish. Nothing better than 1 pot meals! Perfect for busy week nights!! I just love simple and easy dinners! This one pot is perfect for my family! I love all these flavors!! What a great idea for dinner! Love the flavors and ease of this dish.